Understand that in order for an adjuster to easily answer the questions that the computer is asking them, the answers have to be found in BOTH your doctors’ reports and your attorney’s report. In other words, the attorney also must state the same documentation facts if they are involved in the claim resolution process. Here are the typical questions. What are the injured parties’ documented injuries? All injuries are coded with an international coding system language called and International Classification of Disease 9th Edition code (ICD9). The proper codes are entered in into the system, which means your injuries get entered as long as they were identified and properly coded. Look up any injury on the Internet and you will see that it has a corresponding ICD9 code. Sprain of the cervical spine is listed at 847.0, so that would be entered into the computer if you had this injury. If the doctor noted ligament laxity as an injury you would see the code as 728.4. What are all the care procedures that were delivered to the insured by any health care provider? These are also specifically coded in all your medical records with international procedural codes. Does the injured party have any permanent injuries identified with a Permanent Impairment Rating? This is the way the insurer knows that you have some sort of permanent problem; with no impairment rating, there is no permanent problem. If you have a permanent impairment it will ask how much? This is in the form of a number, such as 2%, 10%, 25%, etc. If you have a permanent injury it may ask if this permanent injury now keeps you from doing any kind of activity that you could perform prior to the accident. This is called “any loss of enjoyment of life factors.” These are things that you can no longer do as a result of your injuries. It is very important that they are included and well documented in your doctors’ notes and in what is called your attorney’s demand package. The insurer needs to know what you now CANNOT do, that you could do before the accident. The adjuster will also be asked if there are any activities that you can do but only under duress since the injuries occurred. These are called “Duties under Duress factors.” Things that are now uncomfortable to do, but you can still do, they are simply interfered with due to discomfort that is a direct result of your injuries. If you have permanent impairment the software may also ask the adjuster to indicate if there are any documented future care needs that will be required to manage your permanent injury. 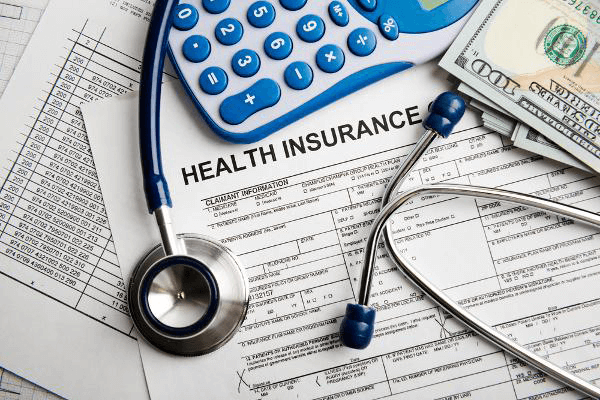 This is called “Future Care Expenses” that may be projected or anticipated to help manage your situation.These make sense, and all of this information is factored into a claim to adjudicate what benefits you are rightfully entitled to. While logical, they are almost never found to be completely or accurately documented in either your doctors’ notes or in your attorney’s benefits demand package. This can cost you a great deal of benefits and leave you with some very large medical bills that you may end up being personally responsible for.Notoriously, what happens is you received large care bills that the doctor’s documentation does not support the need for, so your insurance company denies them and does not pay for the care. Your attorney takes this poor documentation and passes it onto the insurer because they do not know how to correct it. The unfortunate result of both activities is that access to your rightful injury benefits is unnecessarily denied.Here’s an analogous situation to show the point; lightning strikes a huge oak tree next to your house and it crashes into the side of your house and damages (injures) two floors of your home, but your home repair contractors significantly under-document the damage. Your insurer wants to pay for the damage that was documented, which is a much lower number than that which will cover the actual damage. You may think the insurer is trying to rip you off, so you hire an attorney. The attorney now does not know how to document your house damage properly and they cannot fix the problem – their documentation is simply the original crappy documentation that is causing the problem in the first place. Is the result likely to change? No, of course not – but now you have bad benefits, your house damage is not fully covered and now have your attorney to pay as well. This is exactly what is happening every day with injury benefits. Really bad documentation! When this under-reporting happens, of course the insurer is going to think that some sort of fraud is being perpetrated, and of course your attorney – and even your doctors – will all say it is the insurance company just trying to save money, while in fact it may indeed be the ineptness of both your attorney and your doctors that may be the problem. Anything that you could do pain-free prior to the accident and now can be done but only under duress, called Duties under Duress Factors. It’s simple, yet 98% of the files that I have ever checked from both the doctor and the attorney are missing this basic information. That is why it is so important to find the right doctor and, if needed, an attorney that understands both your injuries and your documentation needs. Otherwise you could seriously suffer financially with the loss of benefits that were RIGHTFULLY denied, simply due to the documentation blunders that could have been avoided.